Guest post by Sanjeev Agrawal, president, LeanTaaS Healthcare. Interoperability will be healthcare IT’s biggest trend in 2016 as the industry finally sees momentous forward movement. First, the U.S. Department of Health and Human Services (HHS) wants interoperability to be a common feature in all EHRs by 2024 so that patient data can be shared across systems to provide better care at a lower cost. Since the 2009 passage of the Health Information Technology for Economic and Clinical Health Act (HITECH), a $30 billion initiative to accelerate EHR adoption, more than 433,000 professionals (95 percent of eligible hospitals and 60 percent of eligible professionals in Medicare and Medicaid programs) have received incentive payments. Second, the HHS’s ambitious announcement that mandates moving 50 percent of Medicare payments from fee-for-service-based to value-based alternatives by 2018 puts care coordination and interoperability at center stage. This historic initiative is transformational for patient-centered care based on accountability and outcomes and is the first step toward achieving better health overall with lower cost. 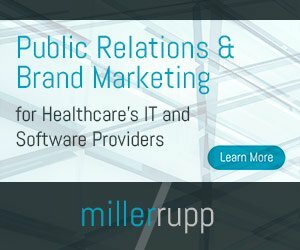 Third, there’s been significant industry momentum with more than 40 organizations coming together to work on HL7 FHIR (Fast Healthcare Interoperability Resource), dubbed “Project Argonaut,” an industry-wide effort to create a modern API and data services sharing between the EHR and other healthcare IT systems based on Internet standards and architectural patterns. Project Argonaut began in December 2014 and has made impressive progress. And while still evolving, the recently released Stage 3 meaningful use rules have emphasized interoperability — more than 60 percent of the proposed measures require interoperability, up from 33 percent in Stage 2. This is a revolutionary step in healthcare with unprecedented regulatory advancements, investment, and industry participation. When data follows the patient, it can truly leverage technology to deliver better care at a lower cost and improve the overall patient experience. With more than 50 percent of patients using their smartphone to monitor health and more than 50 percent of physicians using or wanting to use their smartphone to monitor patient health, seamless data sharing can truly change the way care is delivered. This has been an innovation bottleneck for healthcare for many years. Healthcare hasn’t quite leveraged some of the biggest innovations in recent years (such as data mining, machine learning, image recognition, Internet of Things, mobile, etc.) to the fullest extent. When different systems can talk to each other and share patient data, one can truly leverage these technologies to create holistic, proactive and intelligent care that can be an order of magnitude better and billions of dollars cheaper. Every other industry has reaped benefits from these technological advances, and it’s about time healthcare benefited as well. With growing demand, rising costs and bleak supply, healthcare is facing a looming crisis. More than $750 billion is wasted in unnecessary expenditure today. The technology is there to help save more lives, deliver better care, reduce costs and achieve a healthier America, but resolving the lack of interoperability is essential to making it all work. With increased regulatory and financial support, we’re on our way to making healthcare the way it should be — smarter, cheaper, more effective. There is this myth that healthcare providers are slow to adopt new technology. That’s just not true. Pretty much every hospital CIO I talk to is frustrated by the lack of interoperability and excited about the future it can bring. Providers want to do whatever it takes to cut costs and improve patient access and experience. The systems landscape is so fragmented and complex that it’s not possible for them to make decisions easily. When data can be shared among systems, everything becomes simpler and more innovative. Has the Time Finally Come for EHR Vendor Contraction? Can a Middleware Prescription Cure Healthcare’s EHR Interoperability Disorder? Interoperability Will Become Universal: Is Your Organization Prepared? Interesting as we have leveraged technology that is used in other industries (BPM) to provide a workflow tool that significantly reduces waste, increases efficiency of clinicians to reduce paper work and increase time with patients. Interoperability is achieved thru the push and pull of process information to and from other technologies, including the EMR. Additionally, it has a short learning and implementation curve and achieves an ROI in a very short period of time. The biggest push back we get is from IT who believes their EMR vendors already achieve this.